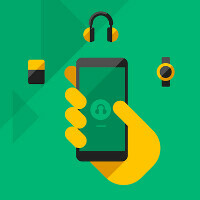 Motorola Connect is the app available from the Google Play Store, that is used to customize accessories for Motorola devices. These accessories would include the Moto Pulse wireless headset and the Moto Surround wireless earbuds to name a couple. Also included with the app are a number of new watch faces for both generations of the Motorola Moto 360. If you've been in a coma for a couple of years, the latter is the manufacturer's Android Wear powered smartwatch. The second-generation Moto 360 is now supported by the Motorola Connect app, and the UI of the app itself has been greatly improved with a more intuitive and easier to navigate interface. And while it wasn't mentioned in the changelist, standard Motorola watch faces from the second-generation Moto 360, which employ Android Wear's interactive watch face API, are now available for the OG Moto 360 by using the app. The new watch faces are divided into categories like Dials, Dials II, Refined, and Essential. The first two have three configurable dials that can be set to show subjects like the weather. Essential keeps track of your Moto Body activities like calories burned, or steps taken. Besides watch faces, the Connect app can also help you remotely set the brightness of your Moto 360's watch screen. The Moto Connect app also has killed off a number of bugs, and is a free download from the Google Play Store. They should have made this available for the 360 from the start. It was, I've been using the Connect app since I got my 360. Didn't you say you owned a 360? Did you never see this? That's just a canned response from her. She doesn't spend a lot of effort coming up with new ways to troll Motorola. ^This is what happens when you only have a 3rd grade education. On come on, you've got better than a third-grade education. As ignorant as your comments are, they generally have correct spelling and grammar. Must have missed it then. I only had it for about two months. It's the app that allowed you to edit watchfaces as well, like change the white face on the watchfaces to black or red or whatever is available for that face. IIRC the watch even directs you to download it if you haven't. I remember Android Wear. I don't remember that one. Android wear is strictly for use with wearables. Connect deals with them as well as acts as a bridge to a PC and your devices, and it's basically a device manager with some really cool features. You might have had a better experience with the 360 had you had it. Moto also released the Moto Body app to go along with this.